You are here: Home » Property » Are you a Property Buyer for Owner Occupancy or Investment? Firstly is pricing. Pricing and emotions often come into play when purchasing property. 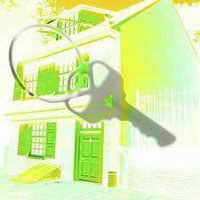 Those who buy property for investment purposes are often likely to choose the property as if they intend to live in it. This is risky for property investors since their core intention of buying property is to generate the highest profits. Even if you do not fancy the area, it’s good to refrain from liking the name of the condominium or how the unit looks.And, if it’s located in an area which possesses high rental demand and good selling price, best to grab it even if it’s not in your desirable colour. On the contrary, it’s perfectly fine for homeowners to be carried away by subjective emotional factors. As long as you carry out within reason and not pay more than what is needed. Secondly, homeowners may splurge hefty amount of money on interior design. This is a sensible action as they will be living there in the next few years. It would be a waste of time to lecture a person buying a Porsche to get a Honda as both are similarly cars. Thus, the purchase only involves personal satisfaction and does not neccesarily have to be financially justified. Afterall, you’ll be the person that live in it and might as well stay happy. As for property investors, interior design could be utilized to spike up the rent. Decent interior design could draw more tenants to pay higher rent. Eg: A condo can generate RM4,500 per month for the landlord via rental. If he could get a designer to renovate the place, it could fetch him RM5000 a month whereby depicts a RM500 increase for rent. Thirdly, it’s highly essential for homeowners as well as property investors to source for the right housing loan. Buyers have a wide range of loan packages to select from in the market such as commercial banks, finance companies, building societies, insurance companies and government loans for qualified government servants. For first-time house buyer, a recommended reliable source website is Banking Info, which is a consumer educational programme initiated by Central Bank of Malaysia. It offers a thorough guidelines and useful tips on financing a house,type of loan packages,legal fees and stamp duties incurred when purchasing a property. According to Dr. Lee Ville, the Director of New Bob Group, “As all investment properties differ from one another, it’s important to rectify the type of property that fits your strategy. This includes your preference to become a landlord or rather restore and resell property. Or your interest in apartment building and other commercial real estate or purchasing land that can be developed. At the end of the day, it entirely relies on you to make the final decision”, he said. To scout for property, one many turn to New Bob Group, a renowned real estate company in Penang which offers everyone wide selection of properties at affordable rates.